Bitsource.org has been launched by BitcoinSource, who is at the forefront of spreading bitcoin news and information. Bitsource is a digital currency exchange that lets users buy and sell bitcoins and litecoins globally with ease and efficiency. Owned and managed by DCE24 Group Ltd., a well-known leading figure in the digital currency related projects and investments, Bitsource.org is based in Belize. Michael Carter, the Chief Technology Officer of DCE24 Group Ltd. and Bitsource.org explained why there was a need for this new project to be introduced to the masses at large. The company has taken extra measures to protect its customers’ investments from theft or hack attacks. Recently, the downfall of Tokyo based Mt. Gox was seen by the bitcoin community and the trust of many was shaken. To ensure security, the company stores about 98 percent of its customers’ investments in cold wallets and in bank vaults offline. Not only does Bitsource.org promise its customers speedy transactions but it also promises funding user accounts and cashing out user balances quickly. During the next few weeks, the company aims to establish Visa and Mastercard payments alongside traditional payment system. This is in the hopes of enabling even quicker and easier transaction processes for its customers. Alphapoint Corporation has licensed the Bitsource exchange. The company also has API assessible for developers who want to connect their offers into the Bitsource exchange or display current exchange rates on their websites. The new website, while still in beta mode, is completely functional. The company’s goal is to have the completed site up and running in the coming days. Currently, the site sports a clean layout, with important information spread out on the home page. With the buy and sell price of bitcoin listed on top, the bottom half consists of “open order” and “transaction history.” It appears to be simple enough. Checking it out, but it doesn’t say what funding sources the accept. Considering they intend to simplify the process, we customers should know before signing up whether we can use credit or debit cards, etc. 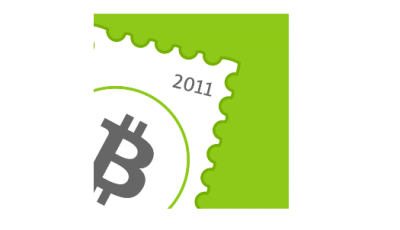 I ran into this very issue with Bitstamp after going through the hassle of creating an account, only to discover that sending them any funds to actually buy a Bitcoin was a tremendous financial maneuver involving bank wires. I’m gunshy of that nonsense, and this site doesn’t d much to alleviate that fear. 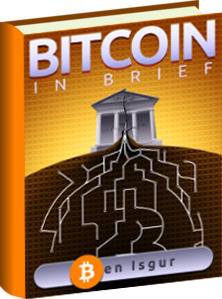 Bitcoin is awesome, but if it takes a complicated system of SWIFT codes, bank wires, etc. to even start, it’ll discourage people.